NIST Standard Reference Materials® help people in industry, academia, and government agencies have confidence in their measurements, which is essential to every sector of manufacturing, health care, national security, food safety and nutrition, and much more. The majority of NIST Standard Reference Materials support manufacturing, health care and clinical diagnostics, and instrument calibrations. Test labs around the world use NIST Standard Reference Materials, coordinated by the Material Measurement Lab, to calibrate their instruments and check the accuracy of their analytical techniques. These assurances mean that people get accurate medical tests, businesses meet regulations and comply with international trade agreements, and manufacturers make reliable, interoperable parts in far-flung facilities. Confidence in measurements used for quality control is especially important for materials like steel and cement used in buildings and bridges: To assure builders, manufacturers voluntarily have their products certified for strength and composition using analyses backed by NIST reference materials. NIST reference materials also accelerate innovation. When entrepreneurs extend the features and performance of a product or process, reference materials help them demonstrate that they still meet industry standards. NIST is one of 38 National Metrology Institutes and two international organizations that accept each other’s measurements as consistent and reliable, giving us a common language for assessing and accepting products for international trade, commerce, and regulatory affairs. American manufacturers that can trace their claims about their products back to tests supported by NIST Standard Reference Materials know they can meet the requirements of foreign markets. 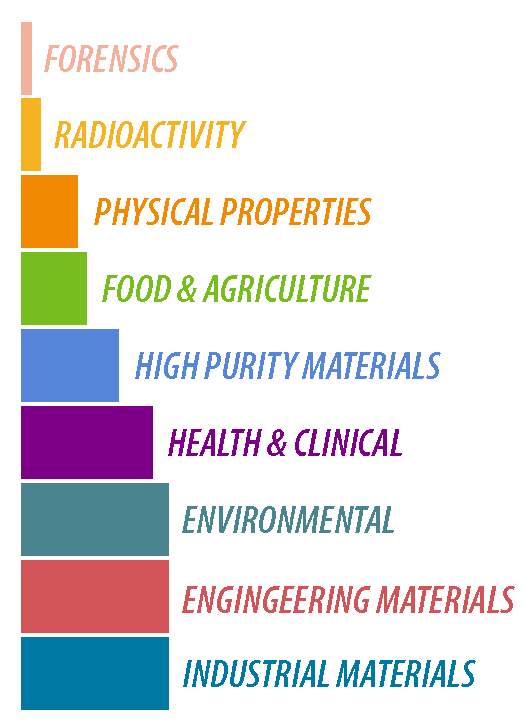 NIST Standard Reference Materials fall into 31 separate categories including metals, high purity materials, fuels, forensics, environmental, and health and clinical. NIST products are used to support measurements in industrial materials production and analysis, biomanufacturing, clinical genomics, environmental analysis, health measurements, and basic measurements in science and metrology.